The long wait is finally over. John and I are off to see Rumer at Oxford's New Theatre tonight. It's been a very long time since I've been so excited about seeing a recording artist "live"! Some time during the spring of 2010, I first heard Rumer's "Slow" on the radio at the office. Leave it to my favorite BBC Radio 2 DJ Ken Bruce to be the one to play the song. I distinctly remember looking over at the digital radio, sitting on a table next to my desk, to see what the song was. My first thought had been that it was a previously-unreleased Carpenters' song. The singer of "Slow" sounded so much like Karen Carpenter. But the production sounded too modern to be a 70s song, and the song was (to me, anyway) more sophisticated than something Karen and Richard would have done. I also remember Googling "Rumer" and finding that its the performing name of a London-based singer/songwriter named Sarah Joyce. Little by little, I began hearing more of her work and learning more about her. I introduced her music to lots of people, both in the UK and in the US. "Slow" was the song of the summer of 2010 to me. 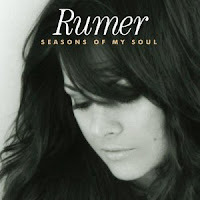 Finally September came, and Rumer's first CD "Seasons of My Soul" was released. I loved her own songs even more than the covers. Her music had really dug into my heart and soul. And she has such an interesting life story. Thanks to Rumer's website, some time late last year there was a pre-sale for tickets to her 2011 UK tour. I got two tickets for the Oxford show in the third row -- outstanding! The 26h of March seemed like AGES away. But the day has finally arrived, and tonight I'll hear "Slow" being performed just in front of me. I expect to burst into tears when that happens. I probably won't be the only person in the audience to do so either.